You are here: Home / Science / Antarctica Blood Falls Mystery solved! Antarctica Blood Falls Mystery solved! It is highly unlikely that you have heard of the Antarctica Blood falls. However, it has been the point of research for several scientists and researchers. From when the Blood falls were discovered in 1911, its cause has been debated. Earlier, when it was newly discovered, scientists put it down to red algae. 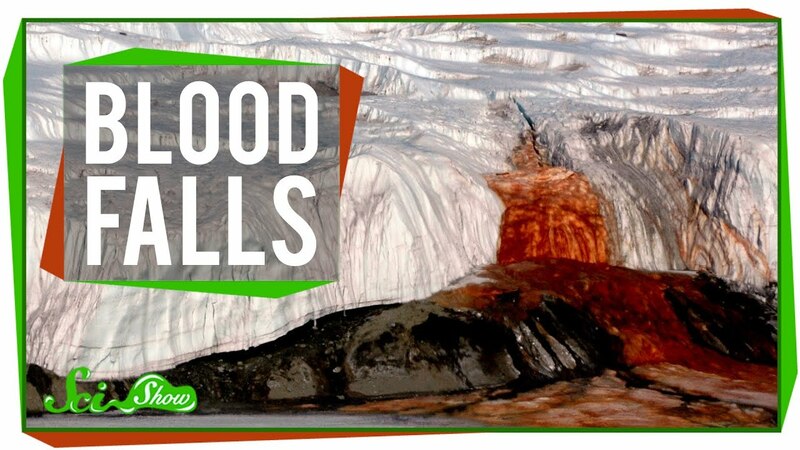 Soon after, researchers figured out that the Blood falls weren’t caused by blood or algae but in fact, Brine. Brine, in its simplest form, is just salt water. Blood falls get its signature red color not from the Brine flowing through it but because of the iron mixed with it. The source of the Brine has long since been debated on but only recently have scientists figured it out. The interesting part about the Blood Falls is that when iron from the bedrock mixes with the Brine, it forms a mixture of iron rich, saltwater. This oxidizes when it comes in contact with the air and turns red giving the Blood falls its fearsome appearance. ALSO READ: Bermuda Triangle – Is there really a mystery behind it? 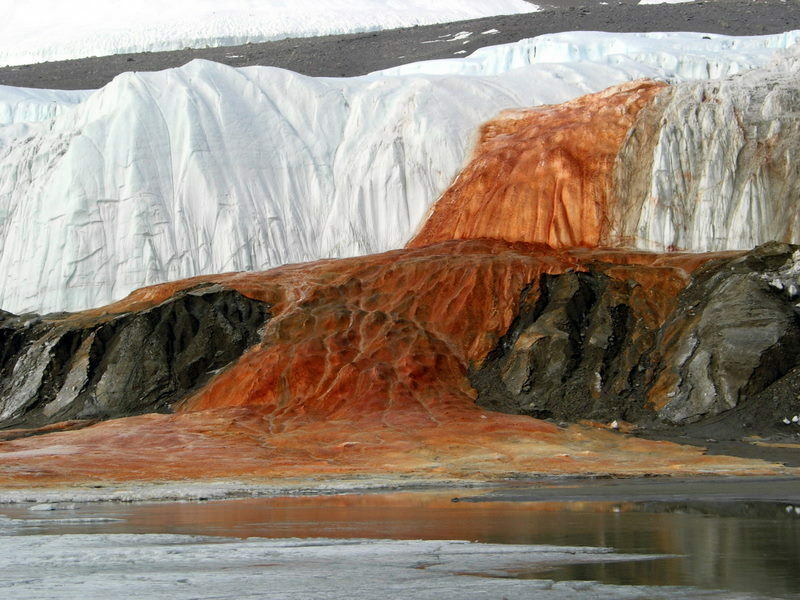 Blood Falls is located on Taylor Glacier. The northern end of the 100-kilometer long glacier houses the Falls. This glacier passes through the trans-antarctic mountains. Scientists have just figured out the source of the brine of the Antarctica Blood falls. They have traced it to a sub glacial salt water lake underneath the Taylor glacier which is at least 1.5 million years old. This source was mapped by the University of Alaska, Fairbanks. ALSO READ: UFOs: Are they real or just a hoax? The source of the brine has been accurately mapped to when the Taylor Glacier was extending across Antarctica a million years ago. During the expansion, the glacier trapped a small saltwater lake under itself. As the lake got trapped under several layers of ice and snow, it became concentrated. The saltwater lake became so concentrated that it could no longer freeze into ice. It had turned into the brine. Apart from this, the lake also started scraping into the bottom iron rich rock. This, in turn, has added iron to the brine. This iron, when coming into contact with the air after such a long time, oxidizes instantly, giving the brine its red color. Have you heard of radio-echo sounding? It is similar to echo location used by bats. It was also the method that researchers used to find where the brine was coming from and how it oozes out of the fissure. “The salts in the brine made this discovery possible by amplifying contrast with the fresh glacier ice,” says lead researcher Jessica Badgeley from Colorado College. The RES showed a vast network of crevasses within the Taylor Glacier, all of which were pressurized. 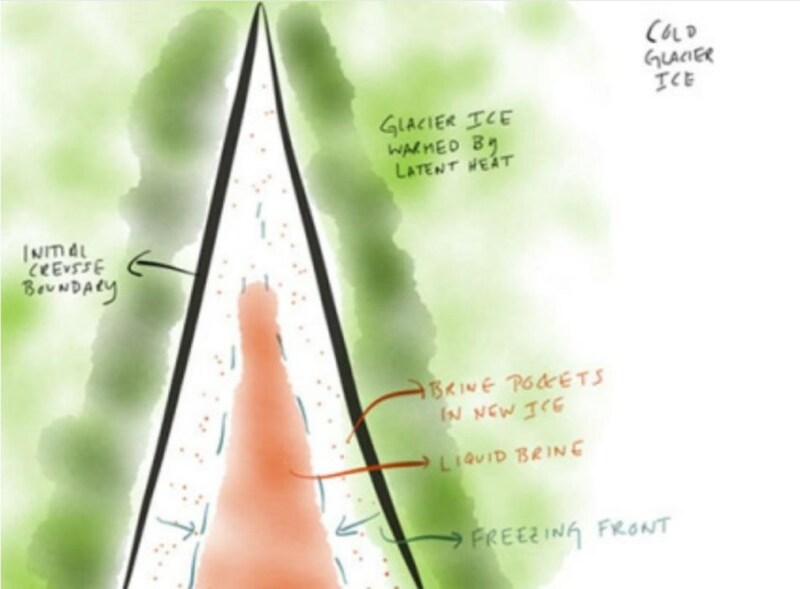 This helped explain how the brine made the 300-meter journey to the top of the Glacier. This discovery is also helpful for researchers to study the ecology of the underground lake. The saltwater lake has several hardened species of bacteria that have adapted to the extreme living conditions. Studying these microbes can help researchers study evolution itself. These findings were published in the Journal of Glaciology. Thus, yet another mystery Antarctica Blood falls on the earth has been solved. Often, the explanations are simpler than we think them to be, aren’t they? Do comment your views in the box given below.